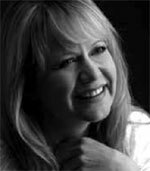 Amanda Roocroft studied at the Royal Northern College of Music. She enjoys a close relationship with the Royal Opera House Covent Garden, the English National Opera, the Welsh National Opera, the Glyndebourne Festival, Bayerische Staatsoper, Teatro Real, Madrid, Houston Grand Opera and the Netherlands Opera where her roles have included Fiordiligi (Cosi fan Tutte), Countess (Le Nozze di Figaro), Donna Elvira (Don Giovanni), Desdemona (Otello), Amelia (Simon Boccanegra), Mimi (La Bohème), Eva (Die Meistersinger), title roles in Madame Butterfly, Katya Kabanova and Jenůfa, Genevre (Ariodante), Cleopatra (Giulio Cesare), Jenifer (The Midsummer Marriage), Tatiana (Eugene Onegin) and Ellen Orford (Peter Grimes). Amanda won the 2007 Laurence Olivier Award for Outstanding Achievement in Opera as Jenůfa for ENO. In concert she has appeared with leading orchestras throughout Europe and North America with conductors including Sir Simon Rattle, Zubin Mehta, Mariss Jansons, Ivor Bolton, Sir John Eliot Gardiner, Daniele Gatti, Sir Neville Marriner, Sir Andrew Davis, Sir Charles Mackerras, Valery Gergiev and Bernard Haitink. Recital engagements have included London’s Wigmore Hall, Queen Elizabeth Hall, the Concertgebouw Amsterdam, Vienna’s Musikverein, La Monnaie in Brussels, and New York’s Lincoln Center.